Univ Of Minnesota Press, 9780816694556, 296pp. A mild-mannered actuary, Fletcher Weschel lives at the crossroads of Bland and Humdrum—or so he thinks until a cosmic contest catapults him into the fantasy world he made up as a boy. Suddenly his childhood bedroom is aswarm with aliens, all bent on discovering the human who best personifies their mission—in this case, the deeply serious pursuit of fun. Ejected from the boring comfort of his office chair, Fletcher finds himself astride the bare back of a horse, in front of a safe (that he happens to be cracking), and then . . . in the cabin of a weight-loss camp for kids? Apparently adventures come in all shapes and sizes, and it’s up to Fletcher to make the most of these, conducted by his alien guide, Tandala, who takes on the corporeal form of a big-boned Jamaican and tends to get distracted by Earth’s many surprising pleasures (garlic! libraries! love!). 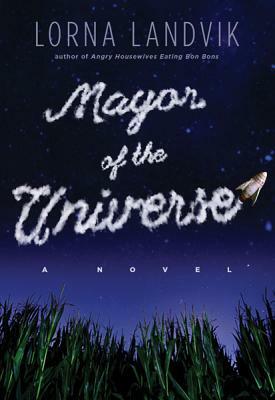 But even fantasies can have consequences, and as Fletcher struggles through them, he is cheered and assisted by Wanda Plum, a plucky second-grade teacher who helps him realize what his ultimate role really is on this highly mysterious, infinitely marvelous pale-blue dot in a vast universe. Though its cast includes aliens, this charmed and charming book is quintessential Lorna Landvik—less about outer space than about the crowded, complex inner space of the human heart. Lorna Landvik is the best-selling author of many novels including Patty Jane’s House of Curl, Angry Housewives Eating Bon-Bons, Oh My Stars, and most recently, Best to Laugh (Minnesota, 2014). She has performed stand-up and improvisational comedy around the country and is also a public speaker, playwright, and actor, most recently seen in an all-improvised, one-woman show Party in the Rec Room.